Additional Featured Competitions, Championships, and More! Whether you are a beginning rider looking to perfect your skills, or a more experienced equestrian eager to earn USEF Horse of the Year, USHJA Zone, and Regional Awards AND/OR qualify for Regional or National Championships, Blenheim EquiSports is “The Place to Jump” and is proud to provide numerous pathways to your success. USEF Equestrian Horse of the Year Awards Program: Emerge as USEF year-end National Champion by earning valuable points at the nineteen shows offered by Blenheim EquiSports. USHJA Zone Horse of the Year Awards Program: Governed by the USHJA, this year-end awards program recognizes the top horses & riders by ZONE; Blenheim EquiSports events provides points for Zone 9 & 10 competitors. Regional Award Programs & Finals: Blenheim EquiSports competitions are affiliated with the following regional organizations: CPHA, PCHA, OHSA, & LEGIS League. Earn points towards their year-end awards & Finals — See each link for more information. USHJA/WCHR (World Champion Hunter Rider) Awards Program & Finals: A boutique RIDER awards program that recognizes Regional and National Champions in numerous divisions PLUS a FINAL at the Capital Challenge Horse Show in Upper Marlboro, MD each October; Blenheim Spring Classic IV, Showpark Ranch & Coast Classic, and Blenheim June Classic I are member/qualifying events. 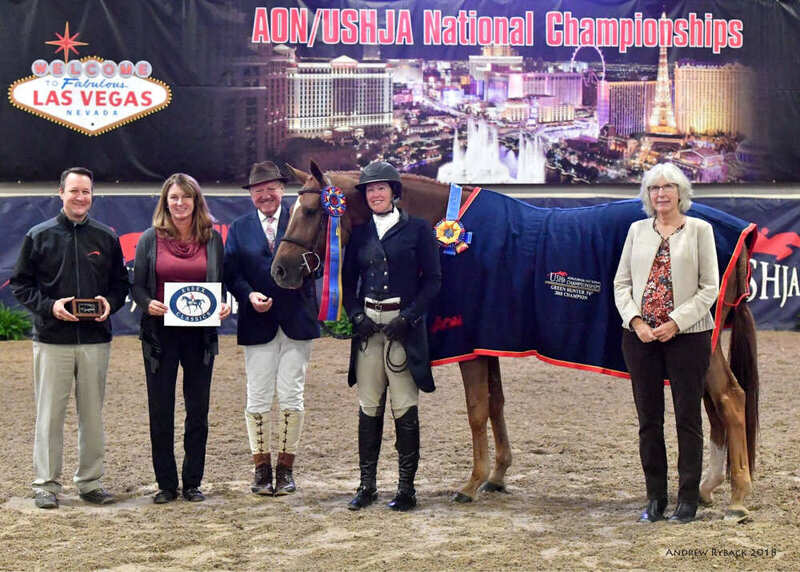 USHJA Green Hunter Incentives & Championships: The USHJA Green Hunter Incentive Program, which is open to horses eligible to compete in Green Hunters 3′, 3’3″, 3’6″ and 3’9″, is designed to encourage the development of green horses. The program is multi-faceted and includes a $250,000+ National Championship, Regional Championships, stake/qualifying classes, plus horse and rider rankings. Blenheim EquiSports hosts the $10,000 Southwest Regional Championships during Blenheim International Jumping Festival, September 18-22, 2019 AND a total of 11 stake/qualifying classes throughout the season – 3’/3’3”: Blenheim Spring III & IV, Showpark Ranch & Coast Classic, Blenheim June I & II, Showpark Summer & Racing Festival; 3’6”/3’9”: Blenheim Spring Classic IV, Showpark Ranch & Coast Classic, Blenheim June Classic I & 2. 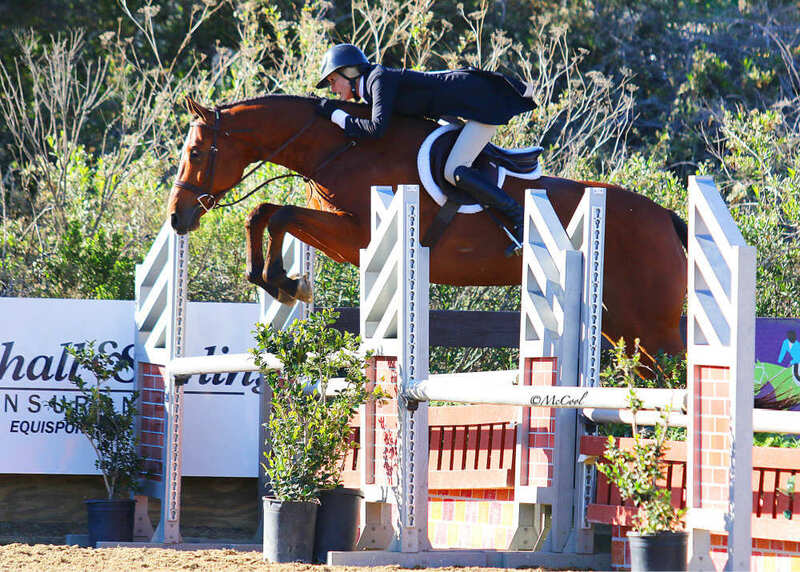 CPHA West Coast Green Hunter Incentive Program & Championships: Similar to the USHJA Green Hunter Incentive Program, the CPHA version offers a $25,000 3’/3’3” Championship, stake/qualifying classes, plus horse/owner and rider bonus cash pay outs. Blenheim EquiSports hosts the Championship during Blenheim Fall Tournament, September 11 – 15, 2019 AND a total of 12 stake/qualifying classes throughout the season: Blenheim Spring Classic II, III, & IV, Showpark Ranch & Coast Classic, Blenheim June Classic I, II, & III, Showpark Summer & Racing Festival, Blenheim Summer Classic, Showpark Summer Classic & Blenheim Fall Tournament. USHJA International Hunter Derby & Championships: Considered the “Grand Prix” for Hunters, the USHJA International Hunter Derby is offered during Blenheim Spring Classic III, Showpark Ranch & Coast Classic, and Blenheim June Classic II that serve as qualifying events for the $100,000+ National Derby Championships held annually each August in Lexington, KY.
USHJA Pony Hunter Derby & National Championships: The USHJA Pony Hunter Derby offers Juniors the opportunity to compete ponies in a series modeled after the International and National Hunter Derby programs. Competitors can earn National and Zone Horse of The Year bonus points, as well as year-end series awards PLUS compete in a year-end Championship held on both coasts. Blenheim EquiSports is proud host to the inaugural West Coast Championships this Fall – Save the Date for Blenheim Fall Tournament, September 11 – 15, 2019 AND is also host to three USHJA Pony Hunter Derbies this season: Blenheim Spring Classic III, Blenheim June Classic II & III. 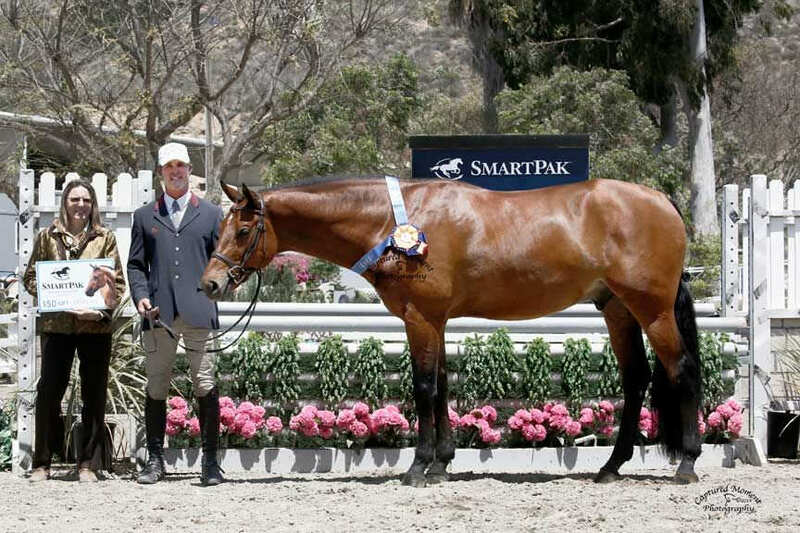 USHJA World Championship Hunter Rider (WCHR) West Coast Hunter Spectacular: Held during Blenheim June Classic I, June 5 – 9, 2019, this two-round Hunter Classic offers $25,000 in prize money plus the opportunity to earn precious Horse of the Year points. 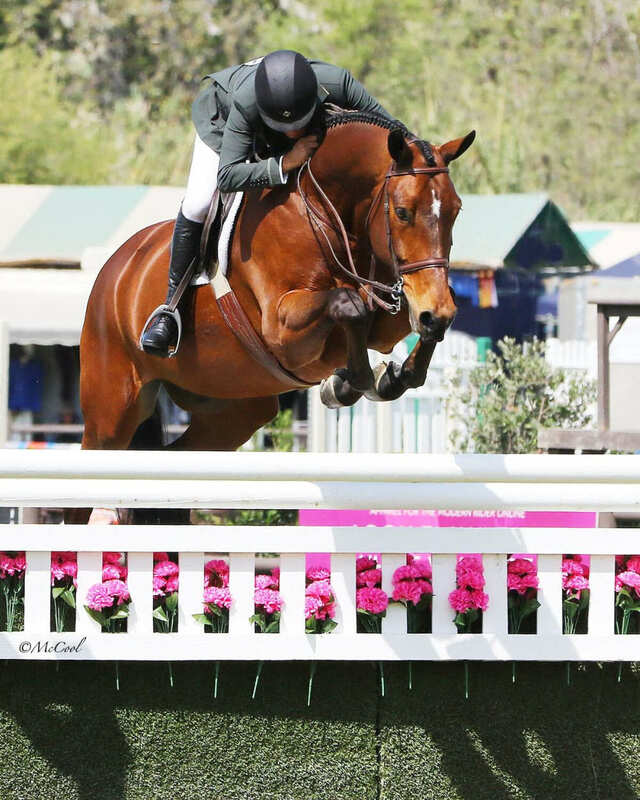 The Oaks International Grand Prix Field provides the setting at the beautiful Rancho Mission Viejo Riding Park at San Juan Capistrano to some of the best hunters and riders on the West Coast and beyond. North American League (NAL) Children’s and Adult Hunter Finals: Earn a spot to either the Pennsylvania National Horse Show or Blenheim International Jumping Festival or BOTH for the NAL Children’s & Adult Hunter Finals by joining & competing in the NAL Children’s & Adult Hunter program. Become a NAL member and accrue points as you compete throughout the season in your respective classic – each Blenheim EquiSports show earns you points towards these prestigious finals offered to the TOP 30 horse/rider combinations. Sallie B. Wheeler/USEF Hunter Breeding National Championships: The Sallie B. Wheeler/USEF Hunter Breeding Championship was created in 2002 to increase awareness of the Hunter Breeding section and provide an arena for handlers, owners, and breeders to showcase their talented young horses. Beginning in 2005 the USEF Hunter Breeding Championship was expanded to offer two championships, East and West. The same judges officiate at both championships, so an Overall Champion can be determined immediately following the East Coast Phase. Blenheim EquiSports is the annual host of the West Coast Championship during Showpark All Seasons Classic each August, and also provides numerous Hunter Breeding classes throughout the season for both the Professional and Amateur Handler; Consult the weekly Blenheim EquiSports time-schedules and prize lists for detailed scheduling. USEF Pony Finals, presented by Collecting Gaits Farm: Every August thousands of pony riders and their mounts converge on the Kentucky Horse Park, Lexington, KY for the prestigious USEF Pony Finals where ponies and green ponies compete in a unique Championship format. Ponies qualify by winning a Championship or Reserve Championship in an “A” or “AA” rated Regular Hunter Pony section during the specified qualifying period. USEF Junior Hunter Championship: Established in 2001, the USEF Junior Hunter National Championship showcases the best junior hunters in the nation while providing riders opportunities to meet and spend time with competitors from all over the country. In 2014, the new 3’3” Junior Hunter section was added to the Championship and has quickly gained popularity. Each year, more than 1,000 eligible hunters qualify to compete in the prestigious final which is held on both coasts over two days and is comprised of three phases: handy hunter, classic, and under saddle phase. The overall score from the weighted sections determines the ultimate winner. Horses qualify by winning a Championship or Reserve Championship in an “A” or “AA” rated Junior Hunter section during the specified qualifying period. The following six Blenheim EquiSports horse shows are hosting qualifiers for the prestigious Washington International Horse Show Children’s & Adult Hunter Championships: Blenheim June Classic 1, 2, 3, Red/White/Blue, & Summer Classic – find out more info by visiting www.Ryegate.com for qualifying criteria.